Hello there friends! 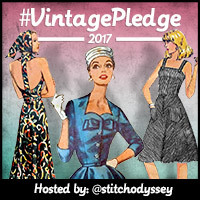 We're almost halfway through this year's Vintage Sewing Pattern Pledge and the dedicated Pinterest Board is overspilling with your inspirational plans and makes. 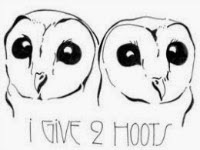 You can also catch April's roundup over at Kestrel Makes. 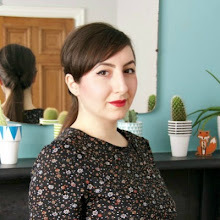 This month's exciting discount is courtesy of Katherine from our beloved vintage sewing community, We Sew Retro! Use the code PATTERNPLEDGE throughout May to get 20% off anything from the We Sew Retro shop, which ships worldwide with no restrictions. 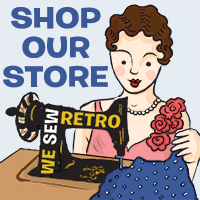 In case you missed it, as well as the blog, there's also a We Sew Retro Facebook group! Despite only being set up recently it's already become a hive of vintage sewing awesomeness. It's an instant way of sharing projects, tips, ideas and feedback, so do check it out! Apologies for the brevity of this post, but I'm currently visiting with my family in Cyprus...hope you're all having a good week! Hi there! 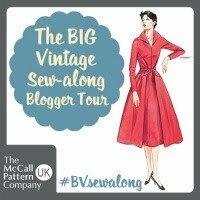 Pins are uploaded by me, so you can send me a link to your finished projects via a comment on my blog, Twitter (tweet @StitchOdyssey with #vintagepledge and a link to your project) or email me at astitchingodyssey[at]hotmail[dot]co[dot]uk. Hope this helps! Hi there. 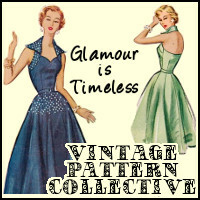 I've added some of my sewing projects for the vintage pattern pledge to my Pinterest Board. How do I add them to the group board? Thanks! Hi,Marie,did you recieve my mail?I think,I could not wright on pinterest,could I?